Alexander Koles is CEO, Founder and Managing Director of Evolve Capital Partners, where he has supervised over $350 million of M&A and financing transactions since the firm’s inception in 2012. 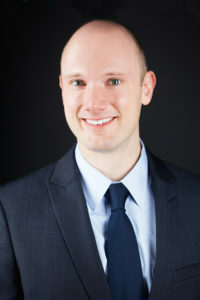 Mr. Koles has over 15 years of investment banking advisory experience and works with numerous regional and multinational companies in the financial technology space. He is also a sought-after speaker at conferences where he educates investors and large companies on the FinTech sector. Mr. Koles has been involved in over 30 successful transactions and advisory engagements. Prior to founding Evolve Capital Partners, Mr. Koles worked at several leading investment banks and advisory firms, including BDO, Houlihan Lokey and Merrill Lynch. His restructuring career began at BDO where he provided restructuring advisory and transaction services for distressed companies and their stakeholders, often operating under compressed timelines and with complex capital structures. At Merrill Lynch, Mr. Koles advised on many large cap transactions in a variety of sectors in his role as an investment banker. Mr. Koles received a Bachelor of Arts in Economics from Macalester College in St. Paul, Minnesota. He is qualified as a FINRA Investment Banking Representative (Series 79), Private Securities Offering Representative (Series 82) and Uniform Securities Agent (Series 63). Mr. Koles is a Registered Representative of BA Securities, LLC, through which all securities are offered. Supervised by the Home Office: Four Tower Bridge, 200 Barr Harbor Drive, Suite 400, W. Conshohocken, PA 19428. 484-412-8788. Member FINRA SIPC. Mingjie Jeff Zhou is a Managing Director of Investment Banking at Evolve Capital Partners and resides in the New York office. He has over eight years of banking, advisory and equity research experience covering the energy, healthcare, industrials, and real estate sectors. He has advised numerous multinational corporations on cross-border strategies and complex financings. Mr. Zhou has been an integral part of the China banking and advisory group in several middle market investment banking and advisory firms, including Cowen Group, Canaccord Genuity and most recently CIFCO International Group. His deep network of professional contacts in China has served him well in these capacities. Mr. Zhou started his finance career at Willis Re, a reinsurance broker where he focused on catastrophic modeling and actuarial analyses. 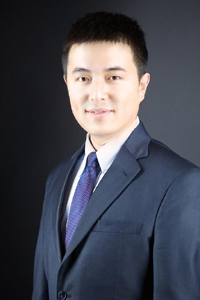 Mr. Zhou received a Bachelor of Arts in Economics and Mathematics from Macalester College and obtained his MBA in Finance from the Simon School of Business, University of Rochester. Mr. Zhou is a CFA Charterholder. Max Prilutsky is an Acquisitions Specialist at Evolve Capital Partners working primarily with family office, private equity, and corporate acquirers to pursue thesis-driven investments across diverse industries, primarily in the lower middle market. Throughout his career, Mr. Prilutsky successfully started, advised, acquired and sold businesses across a broad range of sizes and industries. He was previously a partner of Changemaker Capital, an investment partnership that focused on established companies with $5 million to $50 million in revenue in cause-driven sectors. Prior to that, he was a private equity investor with Gryphon Investors, where he pursued investments in healthcare and education, and was an investment banker in Merrill Lynch’s mergers & acquisitions practice, where he helped advise on M&A transactions between large, publicly-traded companies. 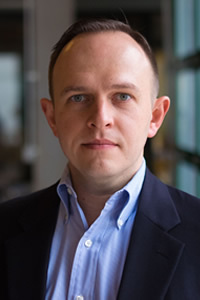 Mr. Prilutsky received a bachelor’s degree from UCLA and obtained his MBA from The Wharton School.